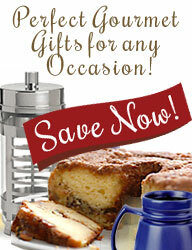 Check our our diverse selection of our customer's favorite coffee mugs. Choose from all types, sizes, colors and functions. Finally, a coffee travel mug that goes into the dishwasher and the microwave. This wide base travel mug has a wide bottom to rest easily on your desk or on your dashboard and has drink-through lid to retain heat and prevent splashes. The 16-ounce wide bottom travel mug is microwavable and dishwasher safe, has an easy to grab handle and is Made in US! The 10-ounce Diner mug just got an upgrade � double wall glass! It�s light weight with a classic look and the double wall insulation keeps your coffee or tea hot. This double wall glass cup is microwave and dishwasher safe. Contents: One Mug. "stop. smile. breathe...life is beautiful"
"be the change...you wish to see in the world"